The front, rear and insides of a IIsi. 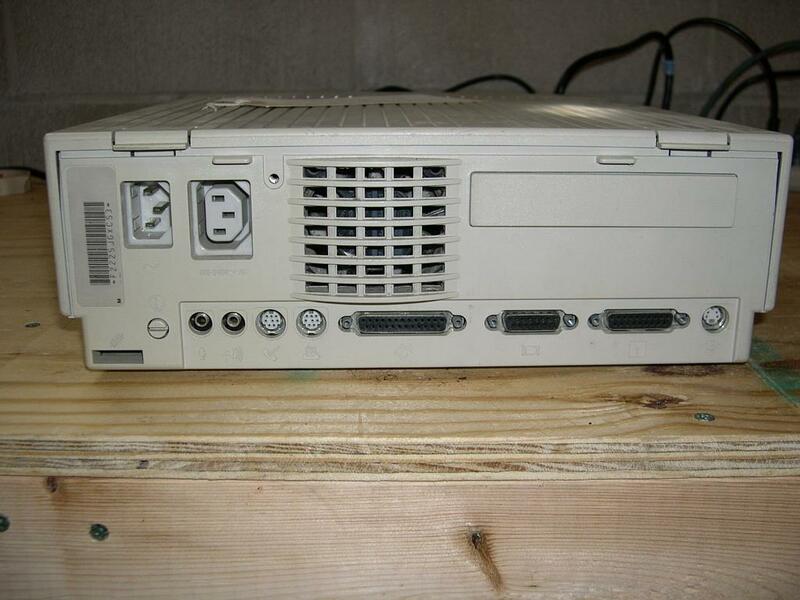 The Mac IIsi was conceived as a low-cost partner to the IIci, aimed between the expandable and professional II series, and the much cheaper less powerful LC series. The IIsi has only a single Processor Direct Slot (PDS), but can with an adaptor add a single NuBus slot. The IIsi lacks an FPU, but again with the same adaptor that has the NuBus slot can give the system a 68882 FPU. 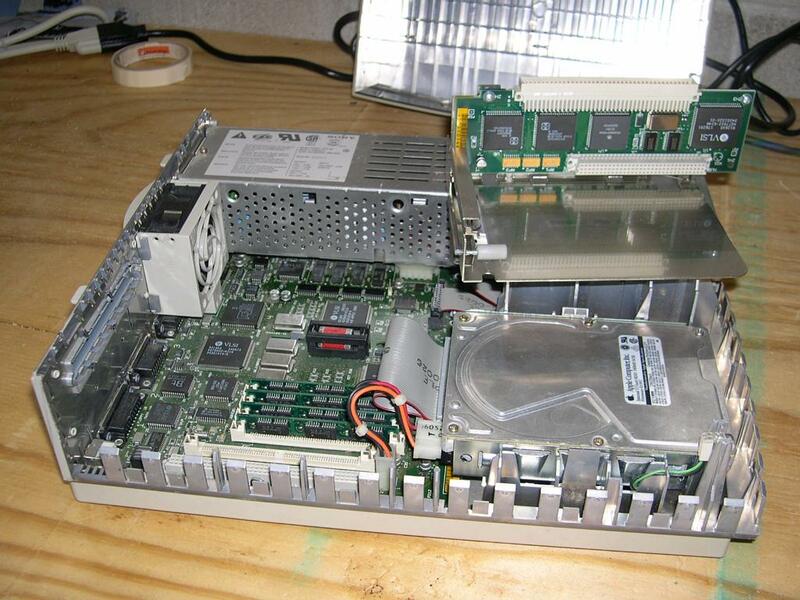 In the picture above of the open IIsi, on the (hidden) floppy drive (above the hard disk, to the right of the power supply) is the aforementioned adaptor, upside down. You can see the PDS connector at the top, the introduced NuBus slot at the bottom, and the third from the left of the chips is the 68882. The IIsi has a tighter mainboard, and with the lack of expansion slots, allows for a smaller, more compact case with a curved front that other II's did not have at the time. The IIsi also did not use onboard VRAM slots, but shared main memory for VRAM. The first 64k to 320k of memory was shared for video use. This slows the machine down somewhat, the best solution is to pick up a PDS or NuBus (with adaptor) video card. The 20mHz '030 was chosen to power the IIsi, but originally it was planned to give the IIsi a 25mHz '030. The slower processor was chosen to avoid chewing into the IIci sales, which also had a 25mHz 68030. You can upgrade the IIsi to 25mHz, and even 28mHz, by swapping the 40mHz crystal for 50mHz or 55mHz crystals respectively. It is possible some devices (NuBus/PDS cards) may not function correctly at these higher speeds, so beware. IIsi's come with 1MB of RAM onboard, and are expandable up to a healthy 65MB using four 16MB 30 pin SIMMs. Only 1MB, 2MB and 4MB SIMMs were actually Apple supported - but both 8MB and 16MB SIMMs worked. 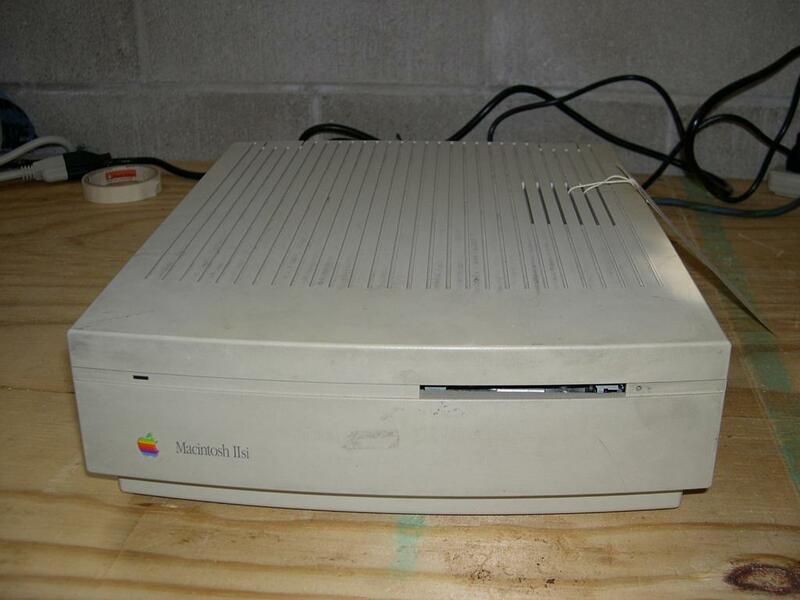 The IIsi was also one of the first Apples that accepted audio input, along with the LC series. I purchased the adaptor not for the NuBus slot, but for the FPU, so that I could run A/UX on my IIsi. The machine is not exactly the fastest A/UX install around (I do not own any '040s at the moment), but it is stable and allows me to play around with a slightly esoteric version of Unix. That, however, is another story.